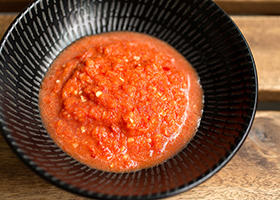 Singaporeans love to add chili to everything, and one of the most well-loved sauces is the popular chicken rice chili sauce. 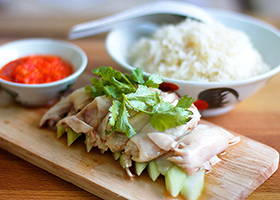 For those looking for a meal to be cooked within 15 minutes, this is it! 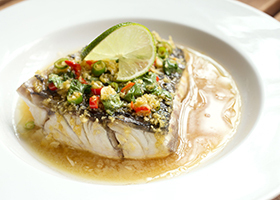 This dish tastes awesome, not to mention that it’s quick and easy to make too. The use of this hot & sour sauce really kicked up our appetite, and once you’re done with your first mouthful you really don’t want to stop. We heard you guys! 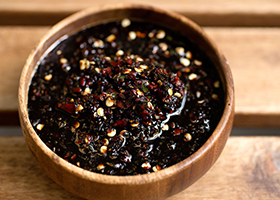 So here’s the recipe for Kicap Cili aka dark chili sauce to go with your Mee Soto! This sauce adds that sweetness and spice to give your Mee Soto the extra kick that makes us all love it. 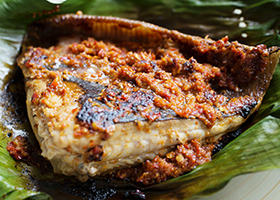 As long as you’re in a seafood zi char stall, the ever-famed Sambal Stingray is the one seafood dish most locals will order! As everyone knows, Singaporeans LOVE spice, and how the chili blends so perfectly with the stingray just makes you drool. Pad Krapow Gai aka Stirred Fried Basil Thai Chicken is the signature Thai dish! This fast and easy recipe just requires prepping the ingredients, giving them a quick stir fry and you are done! 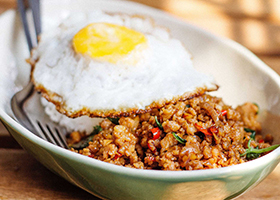 We all know that Gordon Ramsay came to Singapore a couple weeks back to compete with our local hawkers, and this dish being one of the competing dishes, became our inspiration to pay tribute to the man himself. ???? 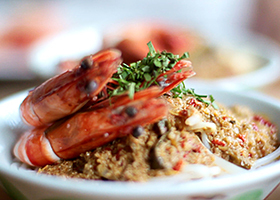 Katong Laksa, like chicken rice and Char Kway Teow, is one of the dishes that almost all Singaporeans know. So after eating it for so many years we decided to find out how it is made. (Something we discovered: the coconut milk should simmer gently as boiling it too harshly causes the soup to thicken up really fast). Aside from that, I would say that we manage to replicate the familiar taste of Katong Laksa.